It has been way too long since this blog has seen any attention. Since my last post Archer has started real deal brick and mortar preschool two days a week. 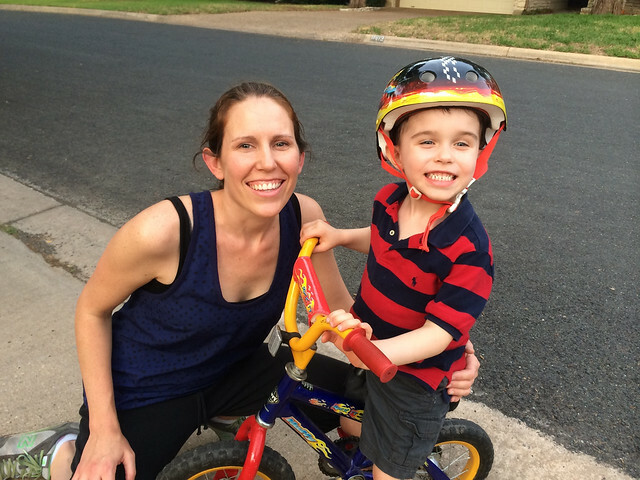 I toured several facilities and was over the moon to find one I trusted to handle his food allergies. Not only is the school nut-free, every staff member there receives annual training on how to recognize and treat anaphylaxis. Archer started in January. It just so happens his teacher is nut allergic. The school’s curriculum is so impressive and well thought out and their resources are abundant. I am in love with this school and am considering keeping Archer there through kindergarten. 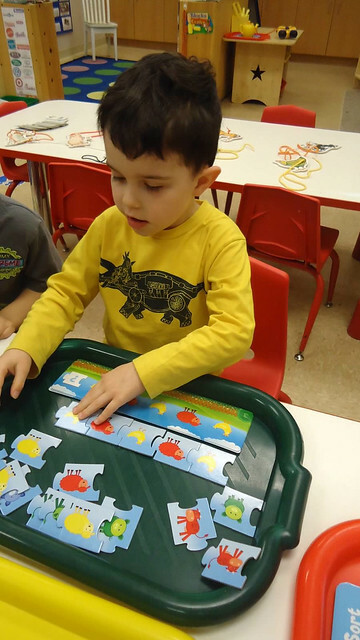 Co-op preschool hasn’t stopped. We’ve just transitioned to meeting once a week. 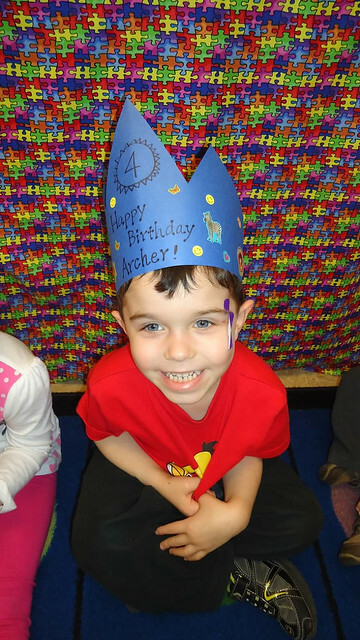 One of Archer’s teachers made this crown for him. He had class on his actual birthday. Today was Archer’s last day for the year. As much as I love the school he really resists going in the morning. He’s been counting down the days until today for the past month. He was so happy to finally arrive at the last day, which featured a pizza party with popsicles. His teacher recently met with me to talk with me about how he is doing in school. She says he loves to share what he knows about subjects, is extra “spongy” (meaning I guess he’s curious about the world and likes to learn), and is a “good leader” (not sure how). He can count to 39 without error, knows all of his capital letters, and most of the lower case. His social skills are “age-appropriate”. 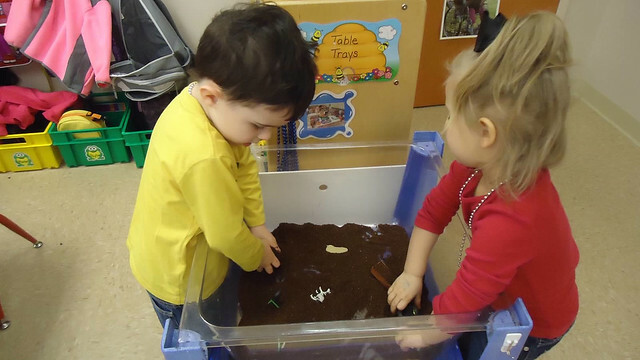 Once, at the sensory bin, his best friend Kaidy had an item he wanted. When she wouldn’t hand it over he threw coffee grounds at her and she retaliated. Food fight! The teacher also shared that for Mother’s Day she encouraged the kids to help around the house more, saying they could take their plate to the sink after a meal. Archer said he wouldn’t just do that, he would come back to the table and take my plate too. She was touched. 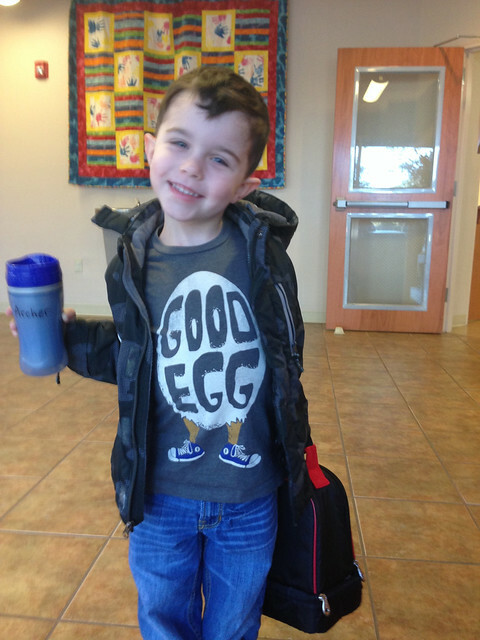 We’re proud of him too and so marveling at just how fast he is growing up! Great job Archer! Like I told, I was 8 before I did that! (Of course, I didn’t have a bike until I was 8.) Haha Ride safe! Wow, Archer! And you’re barely four! Yippeee! So exciting! Can’t wait to squeeze you Archer and your big sister next month. We’re very proud!! Grandma and Grandaddy are proud of you too!